Group Discussion Ideas > Current Affairs GD Topics > Can we rely on Cryptocurrencies like Bitcoin? Future belongs to technology. Cryptocurrencies make peer-to-peer financial transactions a lot easier. This currency can be sent from any part of the world to any part of the world. Hence there will be no struggle of exchanging the currencies like Dollar to Rupee etc. While travelling the world, there will no hurdle of exchanging our currencies with local currencies. Banks do charge us a part of the money we send or receive. With cryptocurrency, middlemen like banks will be eliminated, hence there will be no loss to us in financial transactions. These transactions can be verified. Each coin is assigned a unique number. One of the top economies of the world, Japan officially recognizes Bitcoin as currency. There will be no sense of security. We cannot sleep peacefully because the cryptocurrency’s value keeps on fluctuating. Standard currencies fluctuate too, but not as highly as cryptocurrencies. If value of standard currency falls, we can still afford to live in our country, because the fall of currency value impacts all fields. For example, if the prices of groceries rise, so does our salaries. But if the value of cryptocurrencies like bitcoin falls, we will loose our hard earned money. Bitcoin, the earliest cryptocurrency will generates only 21 million coins. That means when the demand for the bitcoin is more, the value of the bitcoin will increases. There is a downside to this, the value of the currency completely depends on the demand it has, that means if the major investors withdrew their money, the value of this currency will crash. There is no governing body. If the cryptocurrency is hacked, no one will take the responsibility to repay our money. Many cryptocurrencies came to the market after the invention of bitcoins. New cryptocurrency may decrease the demand for earlier cryptocurrencies. Investing in these kind of currencies will be risky. Cashless economy made financial transactions much easier. Hence, there is no need of cryptocurrencies. Ransomware hackers demanded their payment through bitcoins, because it protects identity of the person in financial transactions. Cryptocurrency is a digital currency that operates independently of government. This uses cryptography to regulate the generation of the units of currency and to verify the transfer of funds. “Bitcoin” is the earliest cryptocurrency. There are more than 900 cryptocurrencies available over the internet as of July 2017. ‘Bitcoin’ and ‘Ethereum’ have the most demand. It is highly unlikely that the demand for cryptocurrency will beat the demand for standard currency, because of the high risk involved. But we can take the best thing in this innovation that every coin has unique code and all the transactions of every coin will be recorded. This is a wonderful concept to eliminate money laundering in the economy. Afterwords :- Do you think we can rely on cryptocurrencies? Express your thoughts in the comment section below. Cryptocurrency like Bitcoin are favorable among the people’s in investing there money 💰 & Make Some Profit & at the end of all these things some People’s are able to get profit while Some goes to Loss because of the changing value of the cryptocurrency. Means this is like the Gambling. If you can risk your money or assets for making more money than Bitcoin is the good platform. As of now there are manny Government all over the world who banned the use of the cryptocurrency. Like bitcoin as these transaction of the bitcoins are not recordable & traceable. So government can’t able to impose tax on it. And there are some other security reasons that’s why governments banned it. We all know, Bitcoin is a future currency and all countries will accept very soon. The govt. should review the concept of crypto and limit the use of it , as it will indirectly hurts the financial backbone of the economy. Also as there is no regulatory body to track , it is difficult to trace where the money has been invested, may be used for terror funding. Recent ransomware , judy attacks reflects the uncertainity in using crypto . Also, we cann’t deny that in the today digital era , it can create a big havoc to economy if used for destruction via global compittiveness . 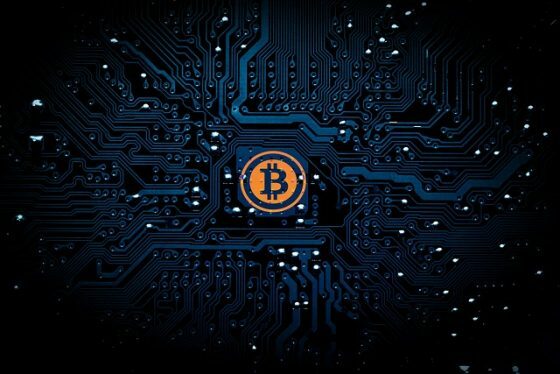 According to me cryptocurrency like bitcoin is based on new technology. Everytime govt comeup with new scheme and innovation. We cant say anything untill and unless we use this cryptocurrencies. When we are travelling through the world then we face the problem to exchange our money. To come out from this problem we should take one step forward and exchange our currency with local currency, there will be safety bcoz each coin is assigned a unique number.